The historic buildings have been restored and conserved and the public have complete access throughout the site. The site was developed and is managed and recognised as a single entity. The site encompasses sustainable commercial use through long-term (minimum 20 year) leases and the Oxford Castle & Prison visitor attraction provides a full interpretation of the site's history and heritage. 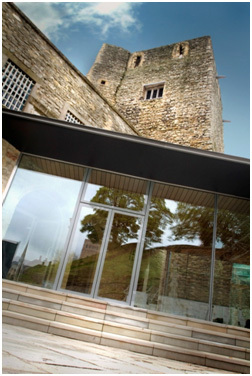 The project has been delivered at minimum risk and cost to council tax payers and even before opening, the Oxford Castle development was praised in the Heritage Counts 2003 report as being a good example of how historic places can provide focus for regeneration. The development has created over 300 jobs and 11 businesses. Visitor numbers are reaching the target levels of 70,000 per year and arranged school visits have exceeded target numbers, helped by the County continuing to provide funding for a part time education officer despite a period of cuts to funding for local authority services. The ambition of the Oxford Castle Heritage Site to be a social and cultural hub for residents and visitors continues to grow year on year, Creation Theatre Company held open-air productions, Opera for Everyone performed at the site, together with other groups. There have been family focused events with competitions and face painting and an outdoor ice-skating rink for the winter season. An Oxfordshire County Council's Citizens' Panel poll highlighted that the development of the Oxford Castle Heritage Site was one of the most important things to have happened in the County in the last five years. The Malmaison Hotel in the former gaol is their most successful hotel within the group, and was voted hotel of the year, with the development winning numerous awards including the RICS Project of the Year, RIBA, Civic Trust, Academy of Urbanism and numerous others.